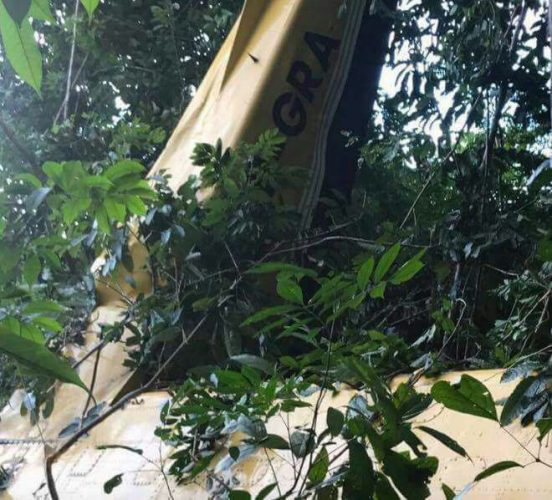 In the wake of three crashes and the deaths of two pilots, all shuttle flights in Guyana’s interior have been suspended with immediate effect until domestic airlines submit policies and procedures on such operations for approval. This was the directive given by the Director General of the GCAA, Retired Lieutenant Colonel Egbert Field, who said the decision though a drastic one, was made in the interest of ensuring the travelling public’s safety. “There has been three accidents in the past two months, two of which were fatal and the authority is very concerned and I am sure that the travelling public at large is also concerned. My team and I during a preliminary analysis found that there is a common thread running through these accidents, this is not the findings of the investigations but after discussion with my team a preliminary (position). That common thread running through all three incidents is shuttle operations, as you are aware all three accidents took place during shuttle operations,” Field said. “As a result of the accidents and the authority’s preliminary analysis, the authority has now taken the decision to suspend all operations until the documented procedures and policies for shuttle operations are submitted, reviewed and approved by the inspectors of this authority,” he added. The move will call into question what procedures had been in place all along and who was monitoring them. And though he credited shuttle operations as being immensely important to the development of Guyana, the Director noted that this type of operation comes with its own risks, which are different from the risks of normal passenger operations. Added to this, Field said the shuttle operations for organisations have developed rapidly over the years as a result of developmental programmes as well as the fact that operators who were given permission in the early days by the authority for small-scale shuttle operations are now engaged in larger operations. “This has grown rapidly and the authority is seeking to regulate this type of operation; after my second meeting the authority had demanded that documented procedures and policies for shuttle operations be submitted to us. I did meet with the operators three weeks ago after the second accident and I met with them today again after this third accident to discuss this preliminary analysis of the three accidents,” he explained. The authority has also taken further steps to increase its surveillance of air operators by conducting more ramp inspections of flights going out, the Director further noted. “You will find that out at Ogle we have an office which will be populated every day with our inspectors. This will put a drain on our small human resources in here but we consider it a necessary move in order to not only have more surveillance out there but to show the travelling public that their concerns are being looked after by this authority,” he related. In addition to this, a decision has been made by the authority to host a safety symposium in October as they see the need for it. “Our industry is growing very fast where a number of years ago we had 30-40 aircraft and now we have 70 plus on our register, this means that the authority has to increase its capacity in order to maintain the balance and level of surveillance. I wish to assure you that the GCAA remains committed towards creating a safe, secure and modern civil aviation sector and we will be reducing the current number of accidents and incidents as far as it is humanly possible,” Field shared. In reiterating that the suspension is not one that will be for any protracted period, the Director said the sooner the documents are presented to the GCAA, they will be matched against the International Civil Aviation Organisation (ICAO) documents and regulations following which inspectors would conduct physical checks at the locations. “We would like to see the documents in as soon as possible; a number of operators were about to conclude the compilation of their documents and should be in today or tomorrow. As soon as we receive those documents we will have to carry out physical inspections and as soon as we are comfortable with what is presented and what is there the ban on shuttling will be (lifted)…if it is a week or two weeks it all depends on when the documents are brought in, my officers realising the hardships that will be faced out there will be working round the clock to review these documents,” he related. “As soon as we are of the view that all of the elements are included in their shuttle operations that is qualified loaders, certified engineers, dispatchers and all the other elements and operational control is there or resides at the various locations we will be lifting the ban on shuttle operations,” Field added. Commenting on the response by operators of domestic airlines, the Director conceded that though the decision was not one that was welcomed by them, safety of the travelling public should be the first priority. “A number of suggestions and comments were fostered which were valid as they spoke about the suffering of the inhabitants of the interior … not being supplied, about the economics of shuttling, but I stated that sometimes you have to cut a limb to save a life and that is what we are doing here,” he added. “When we approve those documents, indirectly we are saying to the operator ‘this is how we expect you to operate’ so that document is like a contract between the operator and the Civil Aviation Authority,” Field further noted. 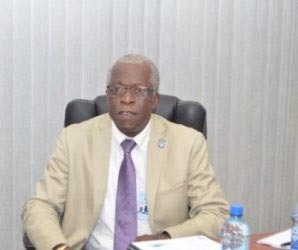 Meanwhile, President of the National Air Transport Association (NATA), Annette Arjoon- Martins said the Director General at the beginning of this month had requested that they develop shuttle procedures and had given them until the end of the month to do so. “Tomorrow (today) is the end of the month and we will meet that deadline…I think the industry will do what is necessary and we will get over this,” she said, before adding that there is tremendous faith in the Director General that he will ensure that the way forward will be a collaborative one. However, Chief Executive Officer (CEO) of Roraima Airways, Captain Gerry Gouveia in an invited comment said he feels the decision was a “knee jerk reaction” and does not agree with it as he believes more analysis should have been done before the agency made such a decision. “I believe that it was a decision that needed more analysis because we could have talked about mitigation measures and so forth…I personally don’t agree with it but we are going to submit our documents because the Director General is the Director General and we remain committed to working with him and the Guyana Civil Aviation Authority,” Gouveia said. He further noted that though the crashes were shuttle operations, he does not believe that that was what caused the accidents but rather the operation of the aircraft. 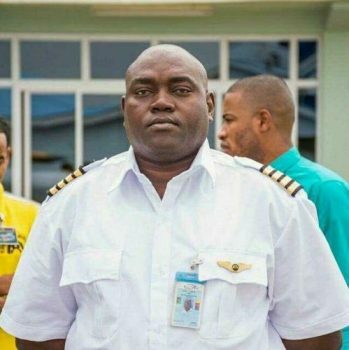 Meanwhile, one businessman who has mining operations in Eteringbang, Region Seven told Stabroek News that he understands the GCAA’s decision to a “certain degree,” as he, too, believes that there is need for more technical persons on the ground to supervise flights around the interior. “It will have a big impact on people, not just the miners but various communities in different parts of the country because it is a drastic measure but I guess sometimes that is what it takes,” he said. In the meantime, Field said the GCAA will be looking to develop procedures that would see inspectors visiting the stations on either a sporadic or random basis since the agency cannot afford to station an inspector in these areas at this moment. “I cannot afford to be in there until I develop this authority some more with some more personnel so we will find some way to monitor if it’s sporadic or random but we have a starting point where we have the procedures documented, and inspecting those procedures or inspecting those areas to ensure that they comply with what is written,” he explained. Further, police and soldiers in the interior will be given a directive to keep a lookout for shuttle flights during the period of suspension. Field also warned that that anyone who attempts to violate the temporary ban would risk having the airline’s Air Operator’s Certificate revoked or the pilot suspended. “Any flight over the territory of Guyana is supposed to be controlled by the Air Traffic Control, reports are to be made to them, both takeoff and landing. Should any pilot or any operator be found not reporting a flight them we will move to the next realm of sanctions,” he stated. This shuttle manual once compiled, would be the first time such procedures and policies would be established and will supplement the general operations manual that is already in place. 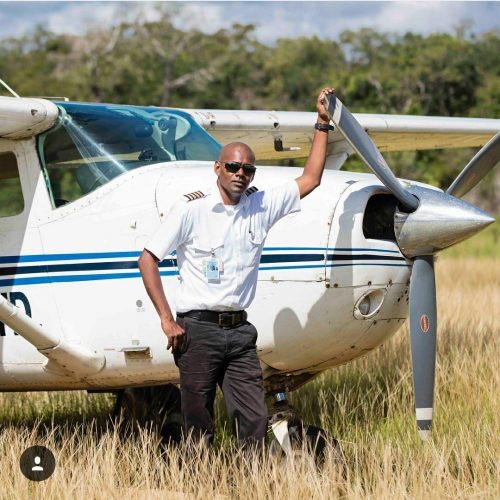 On July 25th, 39-year-old Collin Winston Martin, the chief medical evacuation pilot for Roraima Airlines died after his plane crashed while approaching the Eteringbang airstrip in Region Seven (Cuyuni-Mazaruni). On August 27, an Air Services Limited pilot died after the plane he was flying crashed into the jungle between Chi-Chi and Mahdia (Potaro-Siparuni).